West End Co. Brisbane’s most authentic range of Persian rugs and tribal rugs. West End Co. is an independently owned and operated rug store located in Brisbane’s Arts and Culture hub, West End. Our collection is handpicked from rug weaving centres in Afghanistan, Iran, Pakistan, and India. 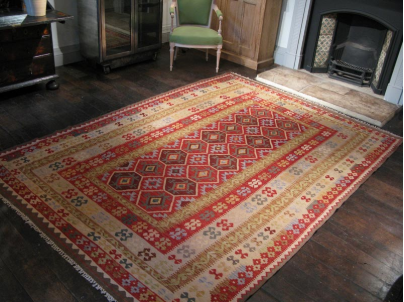 Our authentic, hand woven and hand knotted rugs aren’t sold by common retailers. We have a large selection of vegetable-dyed rugs and flat woven kilims. We have Persian rugs and Tribal rugs from all over the world including Belouch, Kazak, Chobi, Khal Mohommodi, Barjasta, Tribal Kilims, Bokhara and Aq cha rugs and many more. 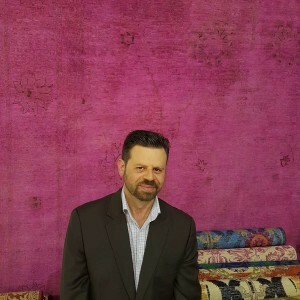 West End Co.’s founder, Daniel Axiak, brings many years of experience, creativity and passion to the rug business. Daniel’s interest in the industry started when he was 16 years old, working with his cousin at rug auctions in Sydney and around Australia. Daniel travels twice a year to rug weaving districts to hand select West End Co.’s unique pieces. 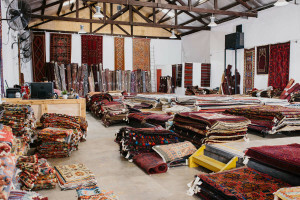 West End Co. is owned and operated by WE Rug trading Pty Ltd.